Recessed lighting transforms an interior into an environment with subtle effects or dramatic enhancements. A room’s unique structure, texture and design come alive with well-placed lighting. A simple office space becomes an efficient, professional place of work. A corner room becomes a cozy, comfortable den. Recessed lighting can accomplish all these tasks without intruding into the interior space. In the photos below you can see the various ways recessed lights are used to open up a room and how they make the room look and feel sophisticated and bright. So if you are looking for a clean, cool and sophisticated look for your home, then seriously consider recessed lighting as it will surely help you accomplish your goal. Since recessed lights are hidden, the ceiling lines are not broken, resulting in the rooms in your home feeling and looking more open and spacious. Another great aspect of recessed lights is the option of having a dimmer installed so that you can control how much light you want. This energy saving benefit can add ambiance to your room and allow you to create subtle amounts of light to go with your mood. Choosing air tight fixtures for your recessed lights will also increase your energy savings as they help to conserve energy loss. Homeowners often choose recessed lighting when they want to light a room in an elegant way without the lights being obstructive to the design of the room. Recessed lights come in numerous shapes, sizes and colors which allows you to be very creative with your trim choices. Check out Halo where you can view hundreds of different recessed light trims. 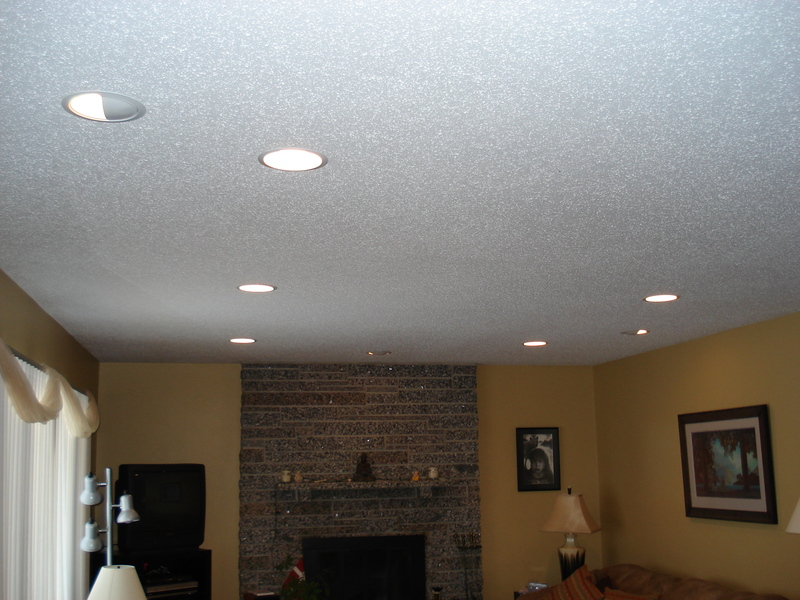 If you will be adding recessed lights to your already existing home (vs. a newly constructed home) and you have ceiling insulation, then you must be careful to only choose a fixture that is rated for use near insulation. 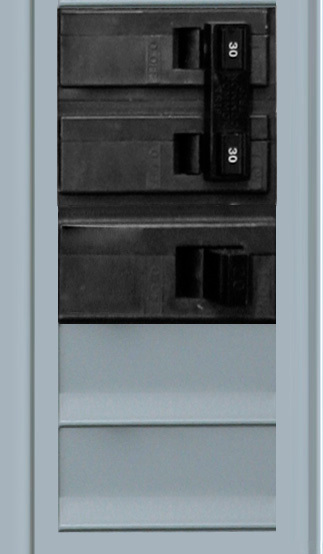 The fixture will be need to be IC Housing rated and it’s a safety must that your fixture have this rating. It is better not to consider recessed lighting if you have ceilings of concrete ceilings with ornate plasterwork or delicate molding details. These types of ceilings are not good candidates for recessed lighting and you could end up with a mess instead of beautiful new lights. Installing our own recessed lights requires that you know about electricity and electrical wiring. If you don’t, then don’t take any chances and contact a quality electrician to do the job for you! Recessed lighting is often the safest choice for the interior of closets. Many house fires have been caused by objects (falling from shelves) coming into contact with unshielded bulbs from surface mounted fixtures, so consider recessed lights for your closets. Incandescent lamps also known as “A” bulbs, have been used for years in recessed lighting fixtures. The bulbs are inexpensive and good for general light or wall washing with the use of reflectors. Keep in mind though that these bulbs are extremely inefficient and may even be outlawed within the next few years. “R” bulbs are most common and have a reflective surface included on the back of the bulb. Halogen bulbs offer a clean white light, and are available in both flood and spot types in sizes to fit 4-, 5-, or 6-inch fixtures. Low voltage halogen bulbs have a long life and put out more light than incandescent bulbs, but require the use of transformers and special low voltage housings. Avoid placing lights too close to each other. For example, if they are placed in rows too close to each other, it will create an “airport runway” effect which you certainly do not want for your home! Place the recessed lighting at approximately 12-18 inches from the front of the object that you want to light. The recessed lighting rule of thumb is that 4-inch fixtures should be placed at least 4 feet apart and 6-inch fixtures about 6 feet apart. When lighting a three-dimensional object such as a fireplace, sculpture, or flower arrangement, it is more effective to light it from two or three different angles. This entry was written by Wade, posted on July 2, 2013 at 10:56 am, filed under Lighting and tagged Electrician. Bookmark the permalink. Follow any comments here with the RSS feed for this post. Both comments and trackbacks are currently closed.